on many things randomly and in no particular order: Ferroli Romeo W RF OpenTherm thermostat "NoCN" or "NoCM" error? 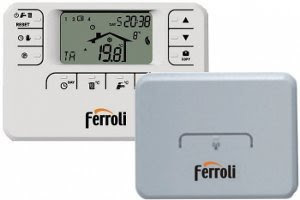 Ferroli Romeo W RF OpenTherm thermostat "NoCN" or "NoCM" error? The Ferroli manual doesn't tell you to disconnect the programmer/clock after installing the RF bridge. To fix the problem, disconnect the programmer/clock by pulling out the wiring loom going to the back of the clock out and leaving it disconnected. Just wondering where you bought this thermostat from? I can't seem to find it anywhere!